As Scout Leaders we are always looking for help and inspiration to maintain an exciting and interesting programme for our young people. 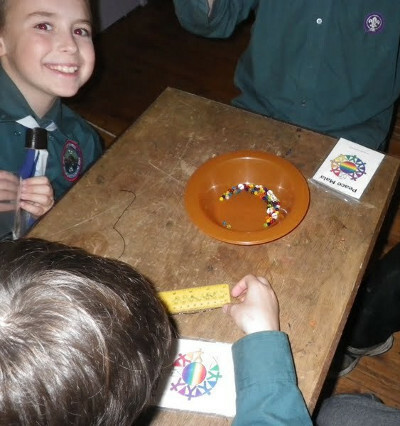 This year we had planned to work on our Faith Partnership Award and as soon as we found the Peace Mala website we knew that we had found something very special that ticked all the boxes that we were trying to achieve. 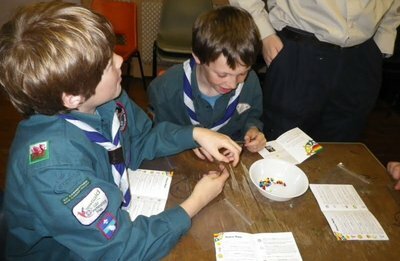 Hopefully our Scouts will be proud of being members of a Peace Mala Accredited group. 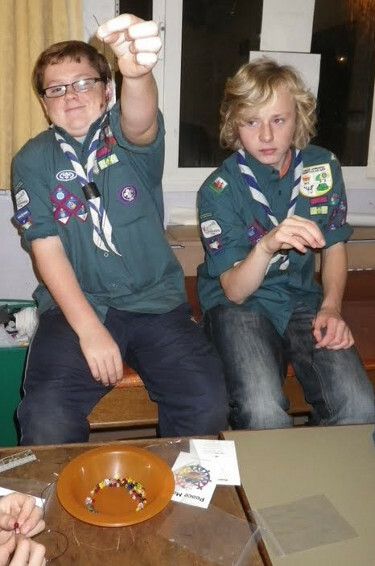 As Scout Leaders we do what we do, in order to help our young people become active, compassionate and useful members of the community within which they live, locally, nationally and internationally. By promoting respect and tolerance for all that share this planet with them we hope that our work with Peace Mala will help this happen, and that the world will be a better place as a result. 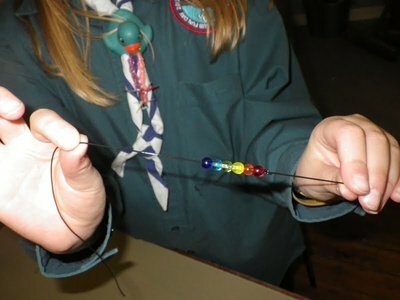 Pictures of the scouts making the Peace Mala bracelets from kits - and wearing the finished article with pride! 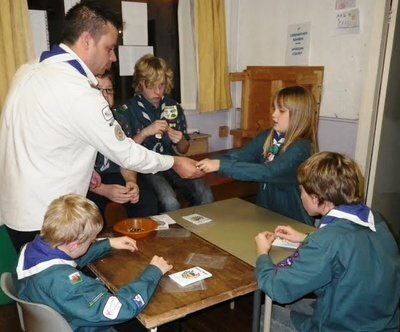 5th Carmarthen Scouts are the first Scout Group in the UK to achieve Peace Mala Accreditation. Take a look at their self-assessment accreditation form and you will see what wonderful activities they have been involved in to achieve this. Click here to view, this is in .doc format. Everyone at Peace Mala HQ is delighted with the work these youngsters have produced. 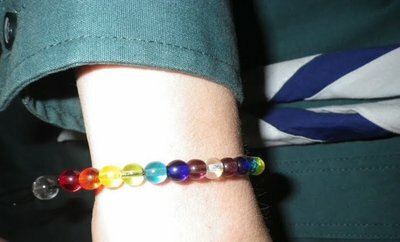 Congratulations also go to the Scout Leaders who have been instrumental in guiding these young people and especially to Siriol Butterworth for encouraging the start of their Peace Mala journey and for co-ordinating all the evidence. We are so proud of you. Llongyfarchiadau!